We are looking forward to our third trip to Thailand in October 2012, after our first trip in 2006, and again in 2008. 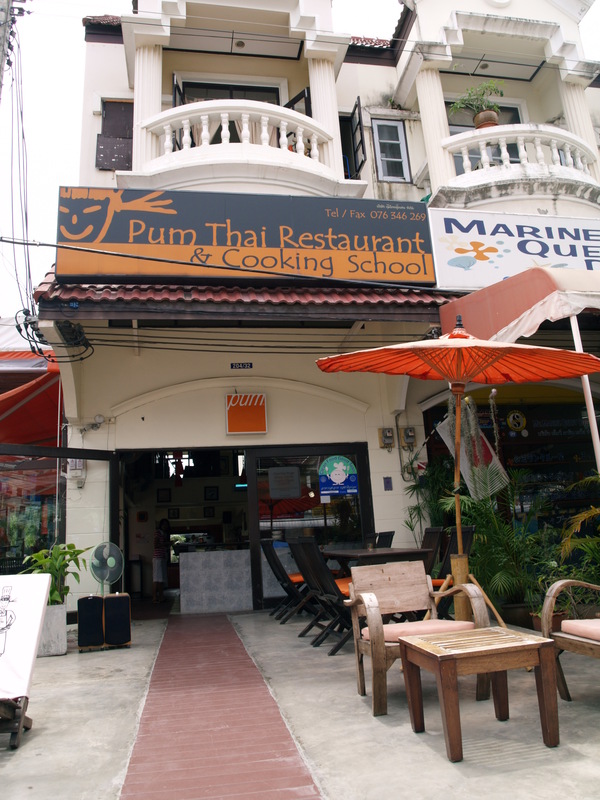 A feature of our second trip was learning how to cook Thai food at Pum’s Cooking School. We spent two days at Pum’s with our teacher Pui, learning all about Thai cooking. We chopped, sliced, ground and prepared many different ingredients, also visiting the market where the locals shop. A wavy peeler that we bought helps shred carrots and vegetables thinly, while leaving a decorative edge when you slice the rest of it. 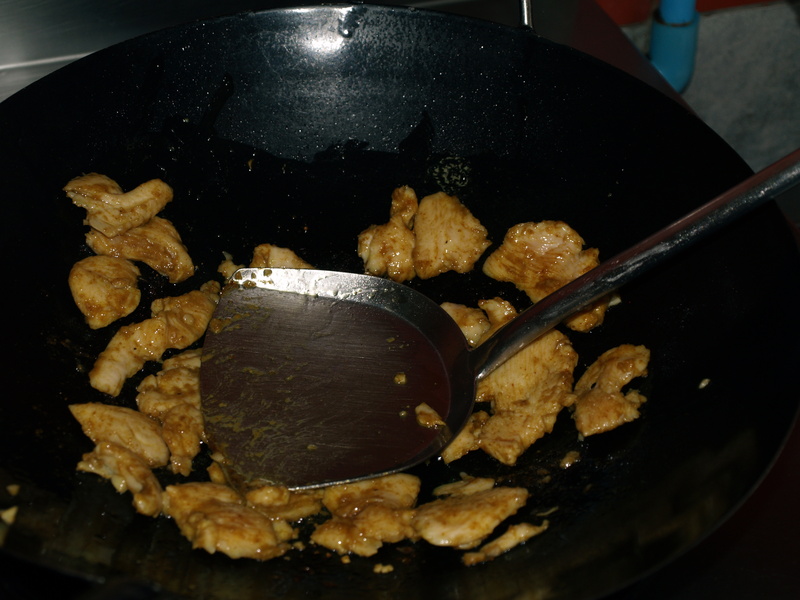 In Thai cooking you “massage” the chicken as you cook it, a slower method at a lower heat than its Chinese stir-fry counterpart. 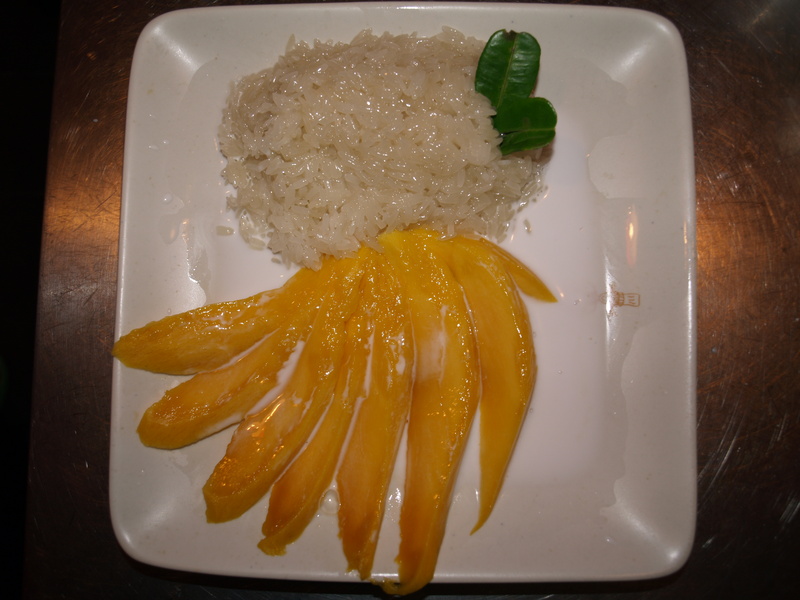 Some of the dishes we prepared included Thai green curry, fish cakes, Pum’s herb salad and mango with sticky rice. Kaffir lime leaves, lemon grass, chilli and galangal are all necessary adjuncts to Thai cooking, helping provide its distinctive flavours. 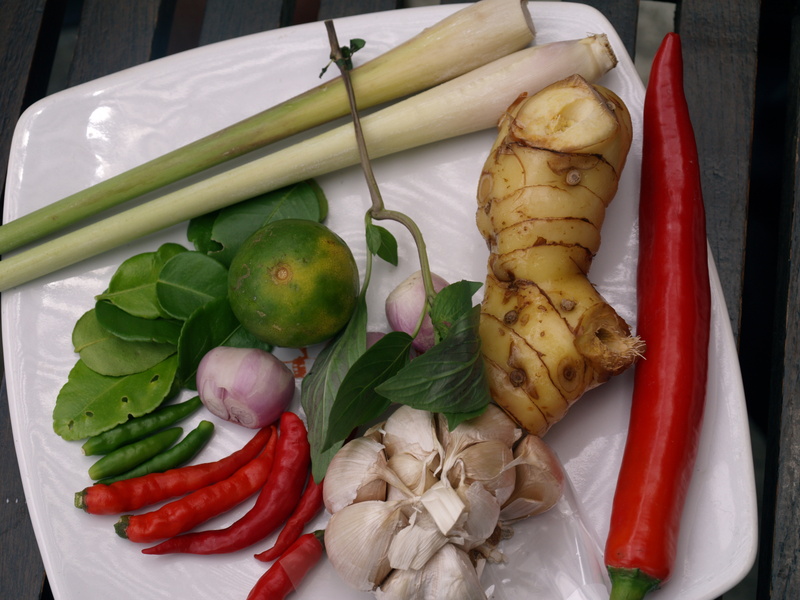 This entry was posted in Thailand, Travel and tagged chilli, galangal, kaffir lime leaves, lemon grass, Pum cooking school, Thai cooking class, Thailand. Bookmark the permalink. If we ever get back to Thailand we’ll have to try Pum’s – we did a cooking class but everything was pre-chopped for us which was a little disappointing at first, though we still learnt about the produce, combinations and techniques. Great fun, and a fabulous meal. Now we love hot and spicy food! Yes, it was well worth it. We even learned how to make the green and red curry paste from scratch, although for ease I recommend Mae Ploy’s authentic readymade variety.